We all know Pepper Mint loves to investigate and explore, so it’s no wonder that when she hears of the mysterious Hidden Island, she immediately sets off to find it. But once she discovers it, she must use her ingenuity and scientific reasoning to get back home. 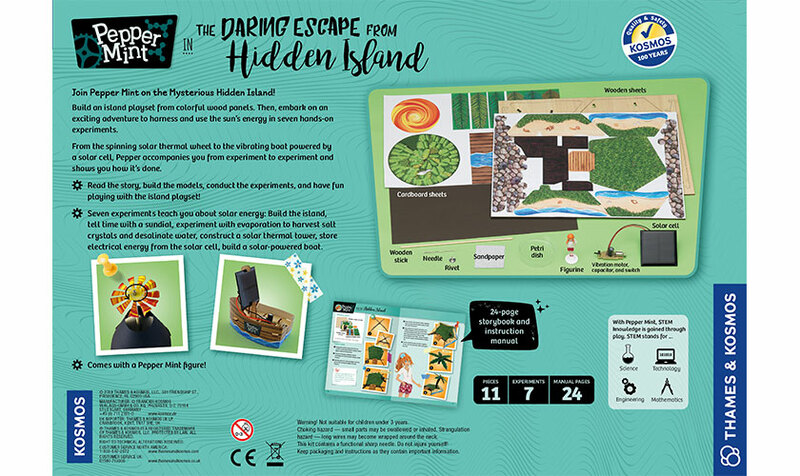 In this story-based STEM kit, you can join our curious young scientist on her quest. First, you’ll use colorfully printed wooden panels to build an island experiment-and-play station. Then, it’s time to follow along with the storybook-style manual to conduct the experiments Pepper Mint performs. Explore the topic of solar energy and its useful applications as you build a solar panel with a photovoltaic cell and test it with different light sources. Use solar radiation to operate a solar thermal tower with a spinning pinwheel. Learn how to tell the time with a sundial and how to turn salt water into fresh water by growing salt crystals with solar-powered evaporation. 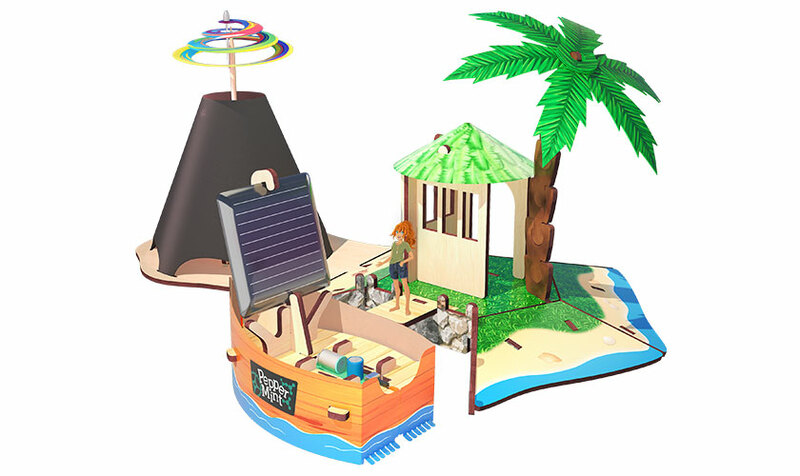 Finally, use a solar cell to power a small boat with a vibrating motor — Pepper Mint’s ticket to escaping the island! 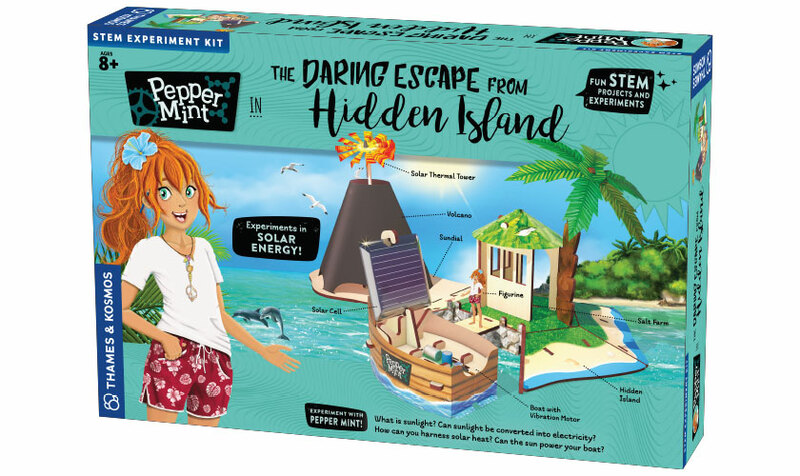 Just as with the other kits in the award-winning Pepper Mint series, your models can be used long after the fun of experimenting alongside this curious young engineer is complete. These models become the setting for infinite adventures and storylines--limited only by your imagination! Combine models from other Pepper Mint kits to embark on a truly extensive, fun (and educational!) playtime adventure. Scale Pepper Mint figurine included.